While having lunch with a friend, Jim Gibbs was struck by how many parking tickets she was carrying around. "She opened her bag and it looked like confetti, parking tickets were flying everywhere," he said. "Then she said, 'If you make an app that would allow me to pay for parking remotely, I would use it every day.'" In October, Gibbs and his co-founders launched MeterFeeder with the goal of not only making the way people pay for parking more convenient, but to make how people park smarter. "When you get down to it, we're really a technology company," said Gibbs, who serves as MeterFeeder's CEO. "Our main goal is to use technology to solve issues." 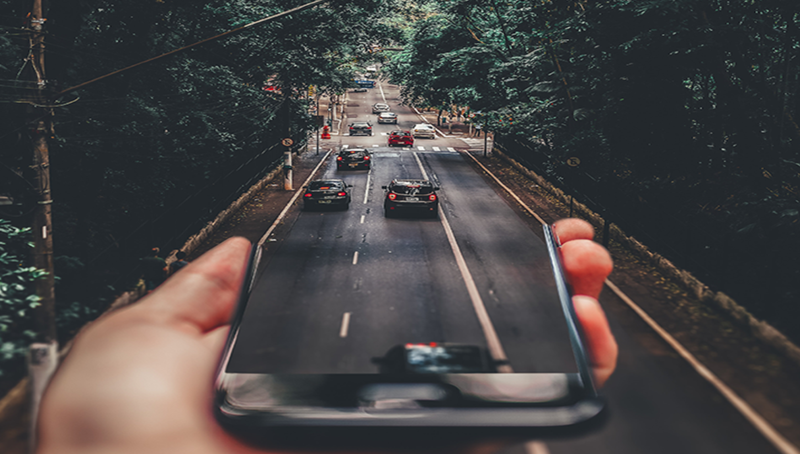 Now the Crafton-based startup is working with faculty at Carnegie Mellon University's Traffic21 Institute to supply researchers with anonymous parking data in order to develop better parking solutions. Traffic 21 is a multidisciplinary research effort to design, test, deploy and evaluate information and communications technology based solutions to address the problems facing the transportation system of the Pittsburgh region and nationwide. In April, MeterFeeder rolled out its services in Dormont. Gibbs said the company added Belleview and Homestead last week and are expecting add five Pittsburgh-area municipalities by early next month. The company is about to submit its proposal to move the City of Pittsburgh to a similar mobile model. From a user perspective, drivers enter their license plate number and credit card information. The credit card information is then sent directly to a processor and users will get a "token" to store on their mobile device that can be used for parking. The app then locates the user's location using GPS and displays a "pay now" button. The app will continue to update how much time is left on the meter and give users the option to add additional time remotely using one-touch payment, according to Gibbs. The company also offers a MeterReader app that allows enforcement officers to check for payment and print tickets using a mobile device. From a data perspective, the anonymous user information collected by MeterFeeder can provide solutions related to parking location management, parking enforcement management and dynamic parking pricing. Similar smart parking pilots have been rolled out in other metros. San Francisco, for example, has been piloting its SFpark parking management system which through the installation of new meters, sensors and adoption of demand-responsive pricing has made it easier to find parking in the city. "We're looking to do what San Francisco is doing," Gibbs said. "But even a bit smarter than that." Pittsburgh Parking Authority Executive Director David Onorato said interest is high among residents to add a mobile payment feature citywide. PPA is looking to award a contract to a mobile parking management company at its board meeting in June. Onorato said it will depend on which company is chosen to implement the program, but he expects mobile payments to roll out fairly quickly. The PPA has received proposals from eight to 10 companies, he said. The application process will close at 5 p.m. today.